*Authorized Techo-Bloc Dealer* With nearly two decades of service to loyal and discerning clients, the southern Allegheny region's first choice in Landscape services is Tussey Landscaping LLC. Serving the Hollidaysburg, Altoona, State College, Johnstown, and Bedford area. We specialize in creating outdoor living spaces for families who enjoy entertaining or just relaxing outdoors. One of our friendly, knowledgeable staff will visit you to help discover your backyard landscape needs. Our family-run business is dedicated to personal service so that you benefit from our expertise. Tussey Landscaping was awarded the Top Frog Award from Aquascape in 2015 and 2017 . The Top Frog is awarded to the top contractor worldwide. In addition Tussey was awarded Artist of the Year from Aquascape for their water feature construction. Do you desire an escape from the daily grind or even an escape from the demands of managing the maintenance of your lawn and landscape? Creating and maintaining luxurious outdoor living spaces is what we do. 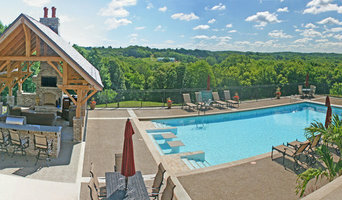 Relax and enjoy...allow us to help you make a great escape to your own backyard! Professional Landscape Design, Installation and Maintenance for Residential and Commercial Customers throughout the Greater Pittsburgh Area. Eisler Landscapes is a Western Pennsylvania based, licensed landscape contractor with nearly a century of experience serving the Greater Pittsburgh region. Our team of landscape architects, horticulturists, and experienced landscape crew members work together to serve our customers and bring their outdoor living space dreams to life. As a design-build landscape contractor, we work directly with you from conceptual planning through the final installation for the most comprehensive, cost-effective experience. We offer complete landscape architecture, consultation, and design services, landscape construction, and installation of hardscapes and plantings. From planting single mature trees to the redevelopment of entire estates, Eisler Landscapes has done it all. We believe in a job well done, but more importantly, we believe in caring for our clients. You can relax knowing that we will meet your needs and exceed expectations for professional, custom results. Isbir Construction & Landscape Corp. is a professional company. We specialize in retaining walls, drainage systems, decorative pavements and excavating. We are most interested in unique, tough, difficult, or special projects. These projects are normally an excellent fit with our company. Our educated and professional staff allows us to offer what we call "turnkey service" where we handle all aspects of our projects. This can include all or some of the following: • Concept Planning/Preplanning • Landscape & Architectural Design & Engineering • Permitting & Inspections • Complete Project & Construction Management • Project Installation by our Crew & Specialized Subcontractors • Jobsite Restoration to Pavements, Landscaping, & Lawns • Care Instructions for Newly Installed Products & Plants Our number one goal is customer satisfaction. No headaches! No hassles! Our company’s philosophy isn’t for everyone; we are a single source for clients who want to deal with a professional organization. If you feel our team would make a good fit with you and your project, please contact us today to learn about our virtual appointment, which is the first step in determining if we are right for your project. Our passion is for designing masterful landscapes that will provide you with a peaceful retreat full of beauty and charm. 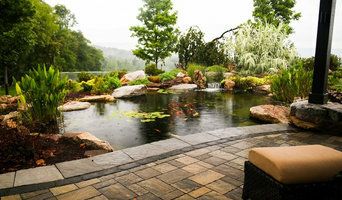 As a landscape design-build firm, we will work with you to design that perfect oasis you envision. Plant species, boulders, retaining walls, patios, ponds, waterfalls and lighting are all the elements we will discuss to design you the perfect space. Get to know Jared, Mark and the crew as your project reaches completion. Gallucci Landscaping is a full service landscape company. 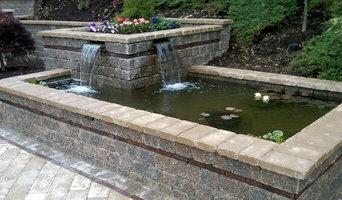 We design and install custom landscapes and hardscapes. 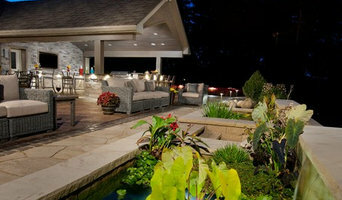 We specialize in outdoor living spaces and innovative landscape design. Professional Landscape Design, Installation and Maintenance for Residential Customers. We here at The Treesdale Landscape Company, follow the philosophy that each landscape is unique and we proudly provide each client with a personalized plan to fit the landscapes’ specific needs. No matter what type of service or design you are looking for, we can help by providing you the highest quality of service in the industry, while ensuring you are satisfied with the finished project. With our wide range of knowledge and offerings, we look forward to continuing our tradition of providing top-quality services, exceptional individualized attention and unrivaled customer satisfaction. In order to keep our prices down, we have learned from experience that it is important to have partnerships with local providers. Thus, over the years we have developed partnerships with local businesses for most of the materials we use, making our materials easy to obtain and keeping our costs low. Professionally design, build and maintain your dream outdoor space! Deal with a professional landscaping and lawn care company that will pay attention to the details and create a landscape investment that will last. Maderer Landscaping is here to help! When we design a landscape we combine beauty and functionality. Afterwards we can maintain your lawn with a variety of services. Welcome to Wichman Landscape Construction. For over 10 years we have been a leading landscape project designer specializing in Paver& Retaining Wall installations in the North Hills and surrounding Pittsburgh, Pa., communities. We have access to many different product choices as well as material systems, which can be selected to meet functional needs and hence budget requirements. Therefore, we are dedicated to supplying you with the best choice in products and providing you with the information and service you need to tackle any Hardscape or Landscape project. Take a tour through our web site and visit some of the links we have established on social media sites to view past projects, designs and installations, as well as current projects.